Building on Wikipedia's entry for the "Woozle Effect" (based on a Winnie the Pooh story), we’ve drafted the following definitions and lessons as aids in visualizing and mentally-modeling Ken Zucker's (#drwoozle) pseudoscientific cult of transreparatism. 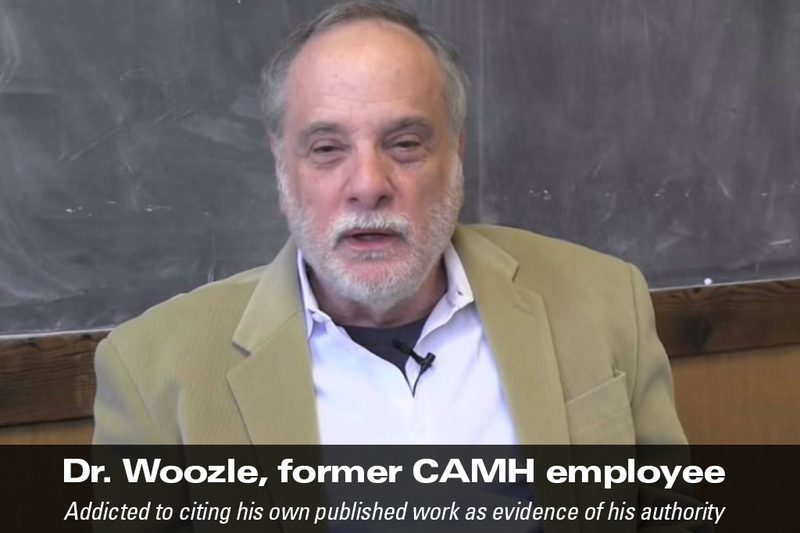 The references below provide background on this classic case of academically-institutionalized "woozle hunting", it's exposure by transgender advocates, the responses by institutional and political systems to its exposure, the resulting closure of Zucker's clinic, and his firing by CAMH in Toronto, Canada. Longer-term, this webpage will also serve as an entry-point into various internet data-labyrinths now accumulating data and organizing relevant data-structures to enable algorithmic-modeling of the historically-significant, socially-malignant, techno-social dynamical-system known as “Zuckerian TransReparatism” (ZTR). Woozle (n): A frightening figment of the imagination that triggers woozling behavior (as in the heads of #drwoozle and his followers). Woozle, Woozling, Woozled (v): To circuitously hunt down and simultaneously flee from fearful figments of one's own imagination. Analogous to irrationally attempting to attack and wipe out, while rapidly fleeing, imaginary “ghosts”. This often unresolvable and potentially socially-viral flee-or-fight behavior can entrap its practitioner(s) into endless ritualized looping (as exhibited by #drwoozle as his followers), and in the process generate considerable collateral social damage. Running in circles trying to ‘Escape’ from being ‘Lost’; Witch-Hunting; ‘Red-Baiting’ (McCarthyism); Fear-based brutal policing of ethnic, racial, sexual and gender minorities; Vodoo spells; Exorcisms; Eugenics; Genocide; Zuckerian TransReparatism. Sentience, consciousness, mental-modeling, abstraction, imagination, innovations, illusory correlation, circular reasoning, confirmation bias, selective exposure, cognitive dissonance, fear, fight-or-flight response, self-referential-cycling, woozling, habituation, observation-imitation, memetic propagation, social virality, memetic-system bootstrapping, cyclic ritual generation and social-space-time propagation, gang formation, initiation rites, group-think belief-systems, group-woozling, mobbing-behavior, noticings and recruitments, social-empowerment, academic and political and religious notice and validation, social-institutionalization, abuse of social-power, social-power saturation, increasing production of external but internally-unnoticed collateral-social-damage, unexpected external-social-pushback, fear-filled woozle-gang-mobbing against unexpected-external-pushback, external noticing and exposure of woozle-gang-mobbings, gang instability, gang collapse, panicked flight from internet-tagging as former woozle-gang members, loss of life-legacies . . .
Ethnography, ethnomethodology, sociology, epidemiology, biosemiotics, prevalence analyses, social network analysis, mathematical-modeling, computer science, game theory, social physics . . .
Logic, mathematics, statistics, data-structures, algorithms, data analytics, aspect-oriented programming , LVars, evolutionary computation, metaprogramming, machine learning, Git, R, GitHub . . .
Winnie the Pooh and Piglet go Woozle-Hunting . . .